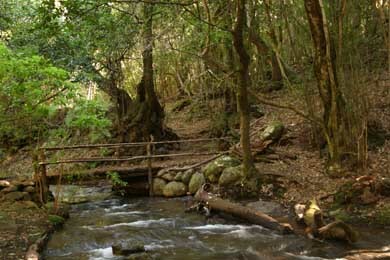 The Bosque del Cedro (El Cedro Forest) is located near Garajonay National Park, in the municipality of Hermigua on the north of La Gomera. El Cedro is a beautiful forest that will surprise you with its magic, laurel plantations and refreshing mists that will make you believe that you’re in a fairytale. 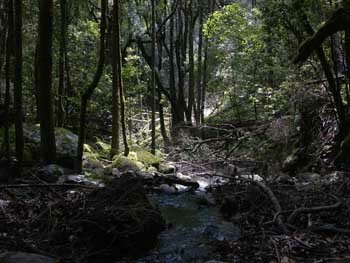 The El Cedro Forest has a lovely creek from where water drains throughout the year (some unusual in Canaries). This is considered one of the biggest forests in the Canary Islands. Inside this forest you might find an amazing hiking trail that begins with a small decline that takes you into deeper forest, full of ferns, laurel and faya trunks. This trail is very well marked with numbered zones to make your route easier. During the trail you’ll find amazing water streams (during every season of the year). 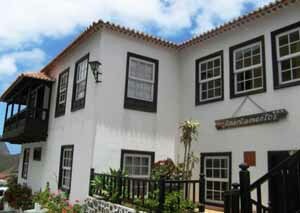 Near the hiking trail you might even observe stupendous flora diversity. Following the El Cedro route, and not long after abandoning Garajonay’s park, you’ll find the El Cedro Homestead, where it’s possible the lodge in a rural environment, plagued by nature and quietness.